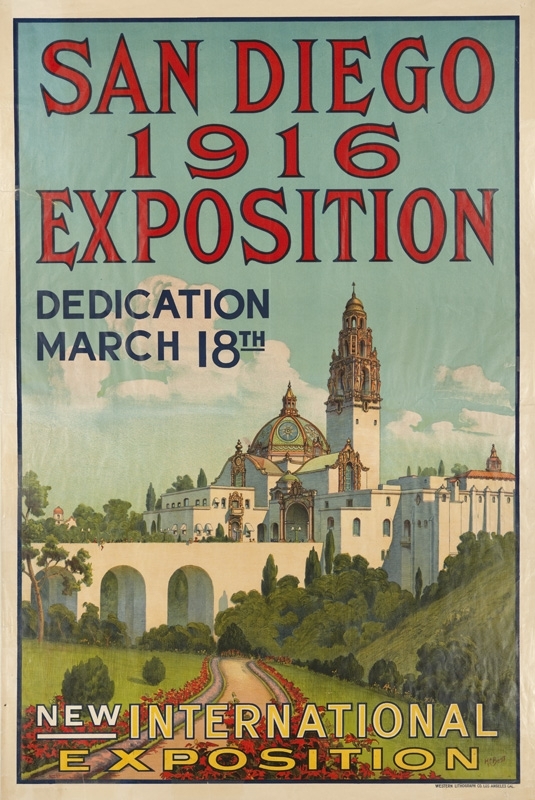 Additional Description: "Poster advertising the "New International Exposition" with "Dedication "March 18th". Artist, H. C. Best. Shows Spanish Colonial Revival buildings on the exposition grounds with flower-lined road in foreground. Shows the California Building with its distinctive bell tower and dome and the Cabrillo Bridge."